The large kitchen has fantastic views over the beach to the Bass Rock and Chapel Green. We've built a breakfast bar into the window to enjoy the view with your morning coffee. 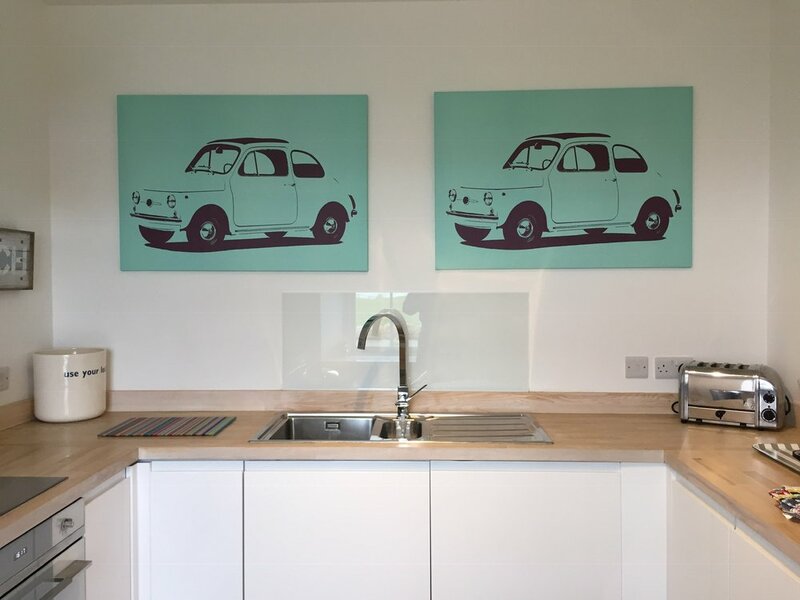 The kitchen includes: a large retro Smeg fridge/freezer; Smeg oven and induction hob; large dishwasher; combined washer/dryer; Nespresso machine; kettle; Dualit 4 slice toaster; microwave. The kitchen is stocked with plenty of crockery, cutlery, pots, utensils, cook books and basic pantry supplies.